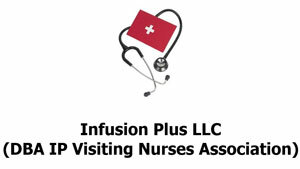 Infusion Plus llc (DBA IP Visiting Nurses Association) is a Masschuchusetts domestic business organization incorporated in October 28, 2008. We are an all inclusive Home Healthcare Agency. Our Mission is to respectfully and attentively listen to the client and his/her family to acknowledge their needs and to work together to develop a plan of care to help meet their needs. At IP VNA, we strive to provide high quality comprehensive homecare that will promote optimum health, dignity, and independence of our clients. We believe in helping families that are concerned about their elder parents. We also believe in fostering independence in the disabled that can use extra help in their homes. * We do not discriminate in the basis of race, creed, gender, nationality, age, sexual orientation, disability and or your health status. We are an all inclusive Home Health Agency..
* Our Health care Team Consists of: Experienced Compassionate Clinicians working in collaboration with your doctor providing skilled nursing care, treatment and education on disease prevention and management. *In addition to Skilled Nursing care, we also provide infusion Therapy services, Peripherally Inserted Cental Catheter (PICC) and midline (ML) care and maintenance. Port A Cath access and de-access. We also draw labs and transport them to the laboratory sites and discuss the result with your Primary Care Physician. all supplies should come from the client's pharmacy. Minority and women business enterprise (MBE /WBE).